We offer a blend of Malai Laddoos that are packed in transparent polythene wraps. These are made from superior quality ingredients. 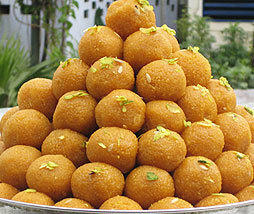 Highly ethnic in taste, these sweets are offered at market leading prices. Description :Made in milk , sugar, ghee and saffron.